It was a time before television sets, Big Macs, video games, and Harry Potter. The Japanese had bombed our naval base at Pearl Harbor. It was a time before television sets, Big Macs, video games, and Harry Potter. The Japanese had bombed our naval base at Pearl Harbor. Older brothers, uncles and even fathers were drafted into the Armed Forces. Gene Autry was busy riding the range. Batman and Robin kept our cities safe, and Tarzan swung from vines in a jungle habitat. The magic of radio kept imaginative minds occupied with the adventures of Superman and the Lone Ranger. In spite of the hardships of World War II, it was a marvelous adventure to be a boy growing up in a multicultural Pennsylvania steel town. 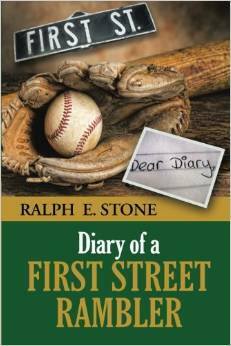 Join Ralphie and his First Street Rambler teammates “Heads” Pinasko, “Half-Pint” Hayes, Jonesy. and “Jay Boy” Husher in their adventures as they built their own ball fields, swam in sulfur creeks, raided cherry trees and cabbage patches, shined shoes on street corners, and made their own sling shots, go carts and rubber band guns! If you lived during that era, you will find joy in revisiting a past which has long disappeared. If you missed out on those cherished years of a bygone era, you are in for a delightful history lesson! By Ralph E. Stone (soft cover) 242 pp.